W.A.G.S. 4 Kids is dedicated to providing mobility service and autism service animals, meeting the specific needs of children with disabilities in Northeast Ohio, utilizing our Award-Winning ODRC Accredited Cell Dog Training Program. We are driven by our belief in early intervention and will work with a family as early in a child’s life as there is a need and an interest. All of the W.A.G.S. 4 Kids service dogs are currently trained at Grafton Correctional Institution (GCI) in Grafton, Ohio where 24 inmates work with each of 12 dogs always in the program. Each dog provides therapeutic, task, emotional and physical support for children with disabilities and their families. The work of the inmate trainers is guided by the professional training staff of W.A.G.S. and each placement family receives in home transition training and ongoing training support. 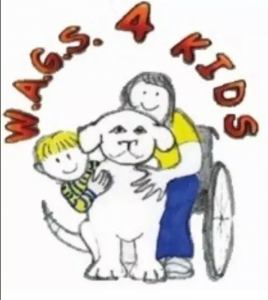 For More information about this organization, please visit www.wags4kids.org.